One of the many benefits of LMCU’s online banking portal is a tool you’ll find indispensable come tax time. Our online Tax Center allows you to check key tax information about dividends, contribution/distribution amounts for HSA and IRA accounts and more. It’s all there, available, 24/7/365. Simply log into Online Banking. Go to the Quick Links section on the right. Click on Tax Center and you’re there. 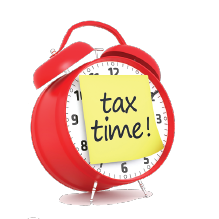 And speaking of tax time- LMCU members get up to $15 off any premium TurboTax product! To take advantage of the member discount offer, look for the TurboTax link on our home page at LMCU.org.